Translation Available: To access the translation service, you can pick up a rental headset prior to attending the lecture. Headsets will be available in the TCC and require a photo ID. Hundreds of smallholder coffee farmers in Yepocapa, Guatemala have experienced leaf-rust, drought, volcanic eruptions and price fluctuations over the last few years. Profitability is the main constraint these farmers face, in maintaining healthy households and addressing price issues and other shocks - much like many other smallholder coffee farmers around the world. Since 2015, Taya Brown has been conducting a multi-phase evaluation of constraints to technology uptake and profitability as part of a World Coffee Research development project that implemented the Centroamericano hybrid to address leaf-rust and low productivity. During a similar timeframe, Ryan Chipman founded Yepocapa Coffee, a US-based coffee importing enterprise focused on improving quality and transparency by becoming a direct link between US roasters and a cooperative of Yepocapa farmers. Taya will share a profitability analysis for one farmer group, and Ryan will build on this to share how his business is learning to identify and address the various factors in profitability. Both will present examples of site-specific scientific investigation, focused on participatory and farmer-centric methods, to identify profitability constraints and guide response efforts. An exploration of auctioning in coffee and its relevance to the supply chain. Major changes in auctions in countries like Ethiopia, Kenya, and Tanzania will be directly addressed, as well as an examination of new developments in the Cup of Excellence competition and auction. Forthright analysis of the varying degrees of success for each of these formats will accompany historical perspectives. From the coffee bean’s discovery by 9th century Ethiopian Muslims to being condemned as “Satan’s drink” by medieval Christians to becoming an integral part of Passover in America, coffee has fueled prayer and shaped religious culture for generations. Popular author, avid coffee drinker, and Episcopal priest Tim Schenck will base this lecture on his forthcoming book Holy Grounds: The Surprising Spiritual Connection Between Coffee and Faith — From Dancing Goats to Satan’s Brew (Fortress Press, 2019). Listen to the communities and make them protagonists in the solution of their sustainability problems. Work collaboratively by integrating different actors (roaster, importer, cooperatives, NGOs, communities) to take advantage of strengths and ensure continuity over time. The 2018 “Gender Equality in the Coffee Sector” insight report from the International Coffee Organization states that coordination of gender-inclusive programs across the coffee value chain can create greater financial and social impact. In practice, it’s clear that market participants who are coordinating around a “gender lens” are creating a new economic logic in coffee that bridges the market logic of financial returns with the social logic of women’s rights. A lens provides a frame of reference that helps define opportunities. Coordinating around a gender lens allows us all to gain new perspectives, address poorly understood inequalities, uncover new opportunities and find new solutions. The results accelerate our collective ability to achieve sustained, inclusive and equitable economic growth to ensure Sustainable Development. This lecture unites two transformational organizations on a single stage to explore how forward-acting market participants are addressing Sustainable Development through coordinated gender initiatives. They have assembled a panel that will discuss their learnings to implement actionable solutions to equality challenges in coffee communities, create positive models for change and inspire others to do the same. The process for brewing coffee appears simple: one pours hot water over some coffee grounds, and then drinks the liquid that passes through a filter. This superficial perspective, however, belies a sequence of complicated physical and chemical processes that govern the quality of the resulting beverage. In this lecture, we discuss the origins of the "Coffee Brewing Control Chart" that is widely used to interpret the quality of drip brew coffee. We discuss how several implicit assumptions in the derivation of the chart yield questionable interpretations in current practice. Furthermore, we discuss several unanswered questions regarding drip coffee brewing that are the subject of ongoing sustained research efforts at the UC Davis Coffee Center. In order to understand all of the new and exciting coffee processing trends that are occurring around the world, it helps to first understand the science and theory behind those methods. Dig into the science behind (or lack thereof) emerging and experimental processing trends in this fun lecture aimed at anyone who would like to finally get some clarity around processing jargon. In this lecture, Emma Sage and Dr. Mario Fernández of the Coffee Quality Institute will share their experience and scientific knowledge to guide you through this complex topic. The latest scientific research will be highlighted, common processing myths will be busted, and the newest processing trends will be analyzed through a critical scientific lens. If you have you ever wondered – • What is the difference between “golden honey” and pulp natural? • How are producers accomplishing Lactic fermentation, and how does it impact flavor? • What are the differences between the yeasts, bacteria, and fungi that contribute to coffee fermentations? • Why you must use African beds to dry specialty coffee? • What are the risks and advantages of utilizing commercial yeasts? • What is carbonic maceration of wine and how is it applied to coffee? Then this lecture is for you! Worried about letting your beans leave your care? Learn about why using the right distributor might just be the thing you need. Gain insight on how working with the right distributor can enhance your overall growth. A lot has been written about the workforce -- millennials in particular -- choosing between a career and a passion. That shouldn't be the case. While baristas and other coffee professionals may find it hard to make millions, they should be able to make sustainable wages while also developing as a professional. What are ways that cafes, roasting companies, and other coffee industry organizations can provide this working environment? Two small business owners with a proven track record in employee recruitment, development and retention, will offer an in-depth behind-the-scenes look into how it's all possible. Overview: In his Re:co presentation in 2018, Ric Rhinehart presented a compelling perspective on the ability of coffee to provide a sustainable household income to smallholder producers. Using a hypothetical farm gate price of $1.40 per pound, Ric was able to demonstrate how current levels of productivity and market pressures are failing smallholder producers. Throughout all of 2018 the C market, the main price discovery mechanism and clearing house for coffee, has been below this hypothetical price of $1.40 causing the specialty coffee industry to question the value and existence of the C market, express concern over the multi-dimensional costs to producers, countries and the environment, and think about incorporating innovative solutions in their businesses. This 3 part series will provide clarity and actionable data for the specialty industry. LECTURE 3: Alternative price discovery. The Deutsches Museum is the largest science and technology museum with 1.5M visitors/a. As curator, I realized the upcoming special exhibition "Cosmos Coffee", which stages the craft and science behind coffee (Botany, Chemistry, Technology, Economy, Culture), with interactive elements (VR plantation, roasting demo, laboratory) on 15000 sq ft. The aim is to make the diverse topics surrounding coffee accessible to a wider public and to make them reflect and rethink their daily consumption of coffee - bearing in mind how many lives around the globe have always depended on this valuable product and still do today. And how many people it takes to make coffee as great as it can sometimes be. Coffee quality depends on several factors from seed to cup, including environmental, genetic constitution of varieties and technological procedures in coffee production. Brazil is the biggest coffee producer but only few varieties from narrow genetic basis are used in commercial production. Since the coffee variety is an important factor that contribute to define the sensory profile expression in each producer region, it is necessary to evaluate the variety performance in specific environmental to understand the major effects on coffee quality aiming to recommend the better ones for specialty coffee production in Brazil. Preliminary results obtained in field experiments carried out by Specialty Coffee Research Program at Agronomic Institute (IAC), in Sao Paulo estate, Brazil, revealed that is possible to produce so differentiated specialty coffee by using Yellow Bourbon genotypes, F1 Hybrids and ancient varieties from Africa and India available in Germplasm Bank at IAC. These results could be interesting to improve the Specialty Coffee Production and confirm the importance of coffee variety in determining the cup quality and sensory profile. A brand identity is more then a logo & good packing; it's the visual representation of your entire company. In this lecture we will discuss the importance of good, consistent design and how it can help businesses grow and better communicate their brand to their audience. Many of us have a dream to open up our own retail shop, yet have no idea where to begin. There are few resources online, and few owners that are available to talk about their story and how they got to where they’re at. That’s very much how we felt when we were three friends who wanted to start a coffee shop with no coffee experience at all. We’ll walk through how we got started, and helpful resources that moved us forward along the way. We’ll share how a simple idea sparked an adventure into the world of craft coffee, to learning how to write a business plan, look for locations, build out our space, open and successfully get through our first year. Although every story is different, we hope to provide an inside look into our journey, the contributing elements of our success, and a touch of the day-to-day reality of being a coffee shop owner in today’s third-wave coffee scene. Coffee farmers have been reeling from increasing costs of production and certifications, as well as the impact of climate change and low coffee prices. While the coffee industry has been working to understand and determine the cost of producing coffee, this doesn't take into account the total cost of living for coffee farmers. We'll hear from coffee co-op leaders and Food 4 Farmers about what it takes to cover the cost of growing coffee plus all the necessities - food, education, housing, and other day-to-day expenses -- that make living on coffee alone so difficult for millions of small-scale producers. We'll learn about strategies they're developing to help small coffee farming families thrive in the face of these challenges. The presentation is disruptive and modern, oriented to the new generations of members of the coffee industry who want to develop sustainability programs in coffee producing countries. The presentation focuses on the Valuing Water Principles to Manos al Agua. The Valuing Water Principles is an initiative of the World Bank and the United Nations to implement water management projects. Manos al Agua, a PPP, has been invited by the Dutch government to multiple water events to present the case as a successful example on applying the necessary steps to assure environmental projects fulfill the proposed goals. The Valuing Water Principles of Manos al Agua have been presented at the United Nations in New York and during World Water Week in Stockholm. The audiences during both presentations were not part of the coffee industry. Manos al Agua was also the recipient of the Corporate Sustainaiblity Award 2018 of the SCA. We can share the slides of the presentation upon request. The original brewing control chart is overlaid with acceptability zones describing cup flavors. However, these terminologies (strong, bitter, weak, over and under-developed) are outdated and their definitions are not standardized in the industry. In this lecture, the newest results from the UC Davis Coffee Center will be presented, which used the WCR Sensory Lexicon in order to elucidate new flavor attributes related to coffees of different strengths and extractions. The experiment evaluated a single origin coffee roasted to three different development times in order to assess the importance of roast on the flavor at different strengths and extractions. The position of the coffees on the brewing control chart was modified by using a programmable batch brewer. A descriptive analysis panel was used to capture the sensory profile of these coffees. The results presented will be used to update the descriptive zones of the new brewing control chart. Lecture attendees will learn how flavor can be modified through the brewing process, and how the control chart can be used to create different flavors for a specific coffee. Join us for this lecture to learn how to target and adjust the flavor attributes of a coffee and dial in your batch brew. Blockchain technology has the potential to completely disrupt the coffee value chain as we know it. And it has already started. Global brands like Walmart and Starbucks are exploring the use of blockchain in tracing food and beverage products for quality control and veracity of origin. But there is a potentially bigger opportunity for this emerging technology in a global coffee market that is unsustainable. Blockchain can give more coffee producers the opportunity to know their coffee’s end customer and value. Opening up these connections and knowledge is helping producers in Guatemala start making a profit for the first time in 4 years. Understand what this new technology means for your coffee supply chain. Panelists include Scott Tupper (Founder of Onda Origins and Yave), Arthur Karuletwa (former Director of Traceability at Starbucks) and Kat Nolte (Coffee Trader and Sustainability Coordinator at SUCAFINA). Panelists: Arthur Karuletwa, Independent consultant, former Director of Traceability at Starbucks | Kathrine Ferguson, Trader & Sustainable Supply Chains, Sucafina North America | Michael Wood, Founder & CEO at fi-lan'thro-pe, Inc. In a six act scripted interaction a buyer and farmer walk into and out of the most classic pitfalls of starting a direct trade relationship. At the end of each act, there will be a quick review of what was agreed upon and what the next steps should be. In the end the business will be done, but not before prices are adjusted, logistics ironed out, and expectations come down to earth. Matt and Byron will use their current jobs to role play the interaction for the audience using real pictures from the farm and an actual coffee lot as it moves through the process from the farm to the roasters warehouse. Consumer Desire Along Roast Degree- What Do Specialty Coffee Drinkers Actually Want From Us? Using hard data we collect on customer feedback and SKU performance at Trade, we would like to present our findings to the Specialty Coffee Industry. Trade is unique in that we are the only company with this kind of tracking capability- and in short, we are seeing consumers want Naturally processed coffee and coffees with longer development, butting up to 2nd crack. It challenges the programs we see within many specialty roasters, and we would like to provide insight into gaining more customers, being more approachable with our coffee, and how to pump money back into the industry without compromising integrity. Is the next trend for customers a well-developed dark roast? What stops us as an industry from achieving that/ providing our customer base with that option? How do we thoughtfully push development in roast profiles? Does this mean we can continue to buy relationship coffees even in hard harvest years, so money goes to the producer AND have avenues to sell these coffees to consumers? The answer is yes, and being more inclusive with our offerings will help specialty thrive in the face of the climate and socio-economic/ political challenges the industry faces. This panel discussion brings together specialty-coffee professionals from across the spectrum of age, experience, knowledge, opinion, and philosophy. In a lively and candid conversation, this diverse group of passionate coffee people will share, teach, listen, laugh, argue, and grow with one another with help from two moderators (who are themselves on different points of that spectrum) and audience Q & A. Over the last 5 years the hundreds of smallholder coffee farmers in Yepocapa, Guatemala experienced leaf-rust, drought, volcanic eruptions and price fluctuations. Profitability is the main constraint these farmers face, in maintaining healthy households and addressing issues sufficiently to continue in coffee production - much like many other smallholder coffee farmers around the world. Since 2015, Taya Brown has been conducting a multi-phase evaluation of constraints to technology uptake and profitability as part of a World Coffee Research development project that implemented the Centroamericano hybrid to address leaf-rust and low-productivity. During a similar timeframe, Ryan Chipman founded Yepocapa Coffee, a US-based coffee importing enterprise focused on improving quality and transparency by working directly between Yepocapa farmers and US roasters. Using participatory techniques, Taya was able to measure Yepocapa Coffee’s effectiveness in addressing the issue of profitability and see coffee farming renewed as a sustainable career in Yepocapa. Taya will share results of the research, including profitability analyses for four farmer groups, and Ryan will share the experience of starting a business that addresses coffee quality and profitability constraints. The presentation will include professional video showing the farmers’ own discussion on these issues and the link between coffee quality and farm profitability. There are many sustainability initiatives, current and future, that seek to address social, economic and environmental challenges in the coffee sector. A critical underpinning to scientific inquiry in this arena is an accurate estimate of coffee farm populations and characteristics by origin. However, to our knowledge there has never been a rigorous undertaking to answer this question. Commonly cited estimates of 20-25 million farms rely upon a self-reported exercise by coffee nations 20 years ago, whose original source data, definitions and methods have been lost to history. Such a large (in scope) and rigorous assessment of the coffee farm population has not been carried out before. We present a robust, methodologically-consistent data set of productivity and farm size estimates, and also summarize the main characteristics of coffee producers in 20 major countries. Finally, the study answers the fundamental question – “how many coffee farms are there in the world?” with a new estimate that can underpin future research and policy work. The artisanal customer face of specialty coffee is real and supported by a complex supply chain and highly specialized production. One result, this business creates and collects a lot of information. Understanding what can be collected and how it can help coffee businesses is simpler than people think. It is also the first step towards gaining real benefits. Business intelligence is already accessible to businesses of all sizes, it is easy to use and inexpensive. It helps remove guesswork for beginners and delivers new insights for experts. Knowing what it is and how it work delivers real value to everyone in the supply chain. This lecture presents, what business intelligence really is in plain language, how coffee professionals can learn, implement and benefit from it and why doing that is more important than ever. The industry standard system for evaluating coffee is the 100 point scale. This seminar will offer an overview of quality and its evaluation, explore the pros and cons of the 100 point system and discuss other systems in currently being used. We're prone to classify our favorite spots into neat categories. We may have our favorite cocktail bar and our favorite coffee shop, but what keeps us from returning to our favorite coffees shop for a Negroni in the evening? Is it possible for both coffee and alcohol to thrive in the space? It takes a high degree of intentionality to create a space that serves both functions equally well. These spaces may take a variety of forms, but in order for them to succeed, every detail must be considered, from lighting, to music, to layout, to service approach. Coffee production in the field is in a digital transformation: the producer has available digital tools to support decision making at the farm level. The next wave of this trend is a digital revolution in the way coffee is marketed, such as digital platforms and block chain technology. Through a practical case study of the Made in Farm platform, the idea of this lecture is to show how digital platforms will be the future of the commercialization of coffee, either in large volumes for traders, industries and roasters, ie in the own producers' coffee brand to final consumers. The first major compliance date for importers covered by the Foreign Supplier Verification Programs (FSVP) rule arrived on May 30, 2017. FSVP is mandated by the FDA Food Safety Modernization Act (FSMA). A central tenet of that law is that the same preventive food safety standards apply to food consumed in the U.S., regardless of where the food is produced. Two years later and there is still confusion - what do you need to do? Steve Jobs once stated, “I’m always amazed how overnight successes take a helluva long time.” Many entrepreneurs have a vision of success and simply need a road map to a as to make their dreams come true. The coffee industry is filled with stories of successful rapid growth including high profile companies such as Starbucks, Costa Coffee and Keurig. There are also many less visible companies that have experienced incredible growth over the years. This growth didn’t just happen by accident. There are key principles in each of these growth stories by focusing on people, strategy, execution and cash. This seminar will take participants through the importance of each of these aspects and how to achieve results oriented plans. Understanding and implementing these factors to growth can allow your business to accelerate at a very rapid rate. Some of the companies we will discuss grew rapidly from the start while others were 10-20 years old before they started their rapid growth. It’s never too late to start accelerating your business. Growing a business is an exciting time for a company and learning how to grow is just the beginning of the fun! Doing good in coffee, whether in terms of sustainability or community development, requires going well beyond the parameters of a good roast or brewing coffee and excelling at customer service. Coffee farms are often in lower income countries and the coffee farming families that produce coffee and the social, economic and political structures around them are very complex. The aid / development community has developed standards of ethics / conduct as well as strategies and techniques for measuring the costs and benefits of intervention that could serve the coffee industry well if adapted and applied. This lecture is intended to stimulate debate and interest in what we believe to be the next big innovation for the social economy in the specialty coffee sector: multi-stakeholder international entities. We know of producer cooperatives who are very interested in this model and are keen to contribute from the audience. In the current climate of consolidation, we are seeing that large corporations are acquiring smaller companies and producer cooperatives are seeking a path to continued development. So how can the social vision and inclusive ways of working established by pioneering companies & cooperatives be enhanced and guaranteed for the future? By the creation of an international multi stakeholder entity committed to sustainability. We will examine how we can create alternative business models in which companies and cooperatives with commitment to sustainability e.g. Fairtrade, B-Corps and producer membership, can participate in something bigger, and look at the potential benefits and the challenges. We will consider how multi-stakeholder co-operation can be strengthened to grow and scale up. We will consider why we believe that now is the moment to act, and the leadership models needed to scale up effectively. Presenter(s): Albert Tucker, Chairperson, Social Business Network| Nicholas Hoskyns, Managing Director, ETICO - The Ethical Trading Company Ltd. This presentation explores some of the key social, cultural, and political dimensions of coffee production and consumption, past and present. The most popular course at the University of California at Davis is “The Design of Coffee,” which teaches chemical engineering through the roasting and brewing of coffee. UC Davis is also home to a new state-of-the-art Coffee Science Center, with an enviable team of scientists and engineers. However, the campus is also developing research and offering courses about the cultural, social, and political dimensions of coffee. The presenters are developing interdisciplinary courses that focus on the complexities and impact of coffee. This talk will describe the kinds of questions, themes, and experiences they have encountered or encouraged in teaching coffee. Mixing research with teaching, they will also describe some of their initial observations from a research project that examines the cost of production, profitability, and the social and environmental impact coffee farming in Ecuador and Guatemala. This presentation primarily serves as an introduction to what coffee may represent far beyond what we see in the cup. World Coffee Research predicts that within the next 30 years, the demand for coffee will double while viable land in current coffee growing countries will diminish by half. How can we combat this? Through an engaging panel discussion, learn about the future of coffee production in emerging origins such as Myanmar and Nepal and the role consumers, roasters, and importers can play in building long-term, mutually beneficial relationships across culture and distance. It is a surprise to some that McDonald’s buys large quantities of specialty-grade coffee while advancing, at the same time, a unique sustainability strategy. The panel supplies some of the best known chains in America and - with tough questions - we will unveil how a major global brand is shifting the commercial landscape with new levels of transparency and measurable sustainability performance among leading roasters and suppliers. Until now, the coffee industry has lacked a comprehensive curriculum to train sustainability professionals. 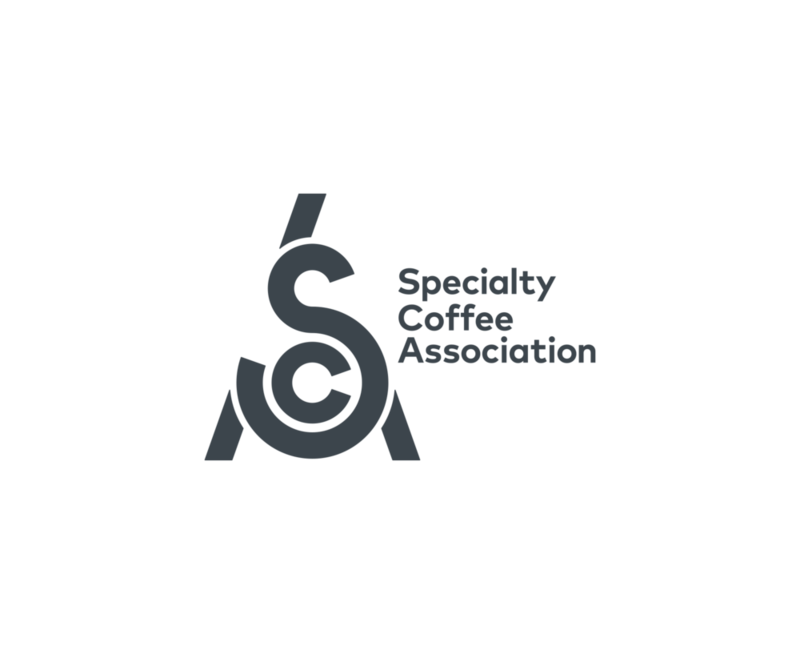 Comprising the four creators of the new SCA Sustainability Skills Program, this panel will discuss how the program came to be and how it relates to everyone's work in coffee. The panelists will offer insights into the new program and how, through education, we can build a more sustainable supply chain. Kate Fischer will discuss the vision for the program and the challenges in creating courses to cover issues ranging from paper cups to climate change, compost bags, and the C price. Hanes Motsinger will discuss how current trends in individual sustainability initiatives inspired the program, and the role collective action can play in building more effective, inclusive, and Time: relevant initiatives. Erika Koss will discuss the history of the terms sustainability and resilience, encouraging us to consider why the word “sustainability” matters—and what we should know about the concept. Finally, Nora Burkey will talk about the challenges of putting learning into action in an industry where specialty coffee is confused with sustainable coffee, and how the courses can create the enabling environment the industry needs to ensure that specialty coffee is equal to sustainable coffee. Producers Ask, “What Variety Should I Plant?” WCR Answers. At the UC Davis Coffee Center, we are engaged in comprehensive sensory research using trained panel descriptive analysis to investigate how different parameters related to coffee brewing impact the flavor, and how these can be manipulated to an individual's desired effect. Of these factors, time can be an important variable—in multiple ways—and this talk will highlight two recent projects. The first investigated the time-evolution of coffee flavor extraction during the brewing process. By dividing a drip brew into eight parts and evaluating the flavor change every 30 seconds, we offer a more detailed picture of observable extraction changes. The second experiment investigated time elapsed post-brew, comparing how quickly perceptible changes occur when coffee is held in a carafe, in order to understand the stability of flavors depending on holding conditions. Both of these studies offer preliminary data that can be immediately useful to the industry in developing and preserving desired flavors in the coffee brewing process. Presentation and panel question session about managing the design and build out of a roasting plant from start up to large operations. This presentation will review site and equipment selection criteria, design, process flow layout, HACCP, and timeline sequencing. We will discuss pitfalls and how to efficiently navigate their solutions. In today’s world of tremendous turmoil, baristas are perfectly poised to lead the way to civil dialogue and shared understanding of their community’s most pressing issues. Heart centered experiences created by baristas, no matter how quick or small, can fuel joy, connection and healing in the community. Coffee quality, sophistication of the machine and ambiance of the store are all critical to the success of a coffee shop. However, the one ingredient that makes the coffee come alive is the human element. A barista with a nod, a smile, a brief moment of engagement can fuel the spark for how the rest of the day unfolds. Under their Carbon, Climate and Coffee initiative, Coop Coffees is innovating their Impact Fund to provide support for coffee farmers to learn and adapt to long-term climate trends. A partnership with the agricultural sector’s Cool Farm Alliance will help coffee coops learn how to link harmonized GHG emissions tracking and quantification, with direct "carbon premium" payments as climate adaptation incentives to build soil quality, renovate aging coffee plots and better manage water resources. While many farmers know what to do to adapt to volatile weather, it's often the business and financing support that is missing to invest in longer-term solutions. This panel will share new approaches to risk sharing and bridging this divide. Skilled farmworkers are necessary to harvest specialty coffees in most parts of the world, but they are too often undervalued and invisible to the industry. Recognition of farmworkers and their contributions to the coffee supply chain. Project design and buy-in from farmworkers themselves. This lecture will present a summary of best practices that have been captured by this project and will guide producers and organizations to make employment within the coffee industry more attractive and socially viable for farmworkers. The lecture will be complemented with a brief overview of Labor Dynamics in coffee, and the root causes of some of the global issues facing farmworkers. Despite the significant media focus in recent years on the environmental impact of disposable coffee cups, we found that they are less than 1% of the problem in terms of the environmental footprint of cafes. We conducted a full lifecycle analysis around the coffee supply chain to investigate what impacts all waste streams have on the environment. We compared waste streams using the Swiss Ecopoint method, placing all waste streams on a common basis. We found that the greatest impact on the environment along the entire coffee supply chain were from espresso machines, milk usage and wastewater. Even a 1% change in machine water efficiency, and 3% changes in milk usage can result in a 3-fold environmental impact reduction than if paper cups were eliminated from cafes entirely. As a result of this work, we recommend a number of strategies that can help cafes reduce their environmental impact significantly. Many of the strategies also improved café profitability. Ultimately, we believe implementation of some of these strategies will improve both the environmental and economic sustainability of cafes in the future. In this session, representatives of Conservation International, Hans R. Neumann Stiftung, Global Coffee Platform, and SCA will share the results of a forthcoming publication on the impacts of climate change on coffee and the necessary interventions that can help farmers adapt production systems to build resilient production systems that sustain farmer livelihoods and the environment. The panelists will also discuss finance and investment opportunities for supporting farmers and communities in the transition to more resilient production systems. This powerpoint presentation will explore the most critical issues (and mistakes) owners face during the design and build-out process when opening a new café. Topics covered include: floor plan design, health and building codes, equipment needed to support your menu and time lines. The seminar will also examine ways to reduce build-out costs, improve employee efficiency and increase seating capacity. Since 1996, Tom Palm has worked with over 1000 clients interested in opening a new café. This is a must see seminar for anyone entering the specialty coffee business. Success in business has evolved – from the singular 1970s and ‘80s purpose of delivering maximum stakeholder value to a higher-level purpose that accounts for value to local communities, employees, the environment and the world at large, while still delivering stakeholder value. Certified B Corporations are for-profit businesses that have been verified by B Lab, a nonprofit organization, to meet rigorous standards for verified social and environmental performance, public transparency, legal accountability, and aspire to use the power of markets to solve social and environmental problems. The B Corp movement has helped create the framework of good corporate citizenship – so all for-profit businesses can be a force for good, and strive to become even better. This facilitated panel of coffee roasters, retailers and allied product producers will discuss their various pathways to attaining B Corp Certification and explore the value their businesses received from joining this global movement of people using business as a force for good. The Price Risk Management (PRM) project equips 22 coffee cooperatives in Latin America with best-practice skills and PRM tools, reaching approximately 29,000 smallholder cooperative members. The project aims to achieve a change of attitude about how risk must be faced and tackled. This unique training, conducted over the past two years, combines hard and soft training skills to focus on building common knowledge and understanding of the management of the coffee trading business at origin – then, systematizes the business using monitoring tools that manage producer cooperatives’ commercial and financial strategies. Once a cooperative has built knowledge of and manages its physical strategies using internal tools and policies, it can complement its physical strategy with a financial strategy in the derivatives market (futures/options) and manage the two together – like yin and yang. The lecture will cover this yin-yang theory and be presented using the same methodology that guides the project’s implementation. Additional themes presented include (1) trends in management of price exposure across 22 Latin American coffee cooperatives; (2) key assertions and preliminary monitoring results of the project’s impact in cooperatives’ policies, governance, and risk; and (3) (3) the role of social lenders to understand and develop products to support financial strategies for price volatility mitigation. This lecture presents the main results of a research that analyses barriers and potentialities of the Honduran coffee sector for women’s empowerment. Coffee represents the largest agricultural product in Honduras. However, only 18.67% of producers are women, with 14.85% of the total production. Out of these, 93.62% are producers of small farms (2 average hectares). Furthermore, these data only show who sells, making women's participation along the value chain invisible. In the lecture, we will give an account of the opinions of 56 women representing the entire coffee chain in Honduras (day laborers, producers, toasters, tasters, baristas, managers of cooperatives / companies, exporters, trainers) about the challenges women are facing as well as the opportunities they see in the sector. Understanding empowerment as a process that includes both individual changes and collective action, and involves the radical alteration of the processes and structures that reproduce the subordinate position of women as a gender, we analyze the opinions of the interviewed women as well as the local context to suggest possible strategies that should be simultaneously promoted to enhance Honduran women's position in the coffee sector. The Coffee Barometer 2018 (https://hivos.org/sites/default/files/coffee_barometer_2018.pdf) emphasizes that true transformation requires individual companies to disregard competitive differences and genuinely engage and invest in collaborative investments at grassroots levels. The SAFE Platform (http://www.safeplatform.org/), managed by Hivos and powered by the Inter-American Development Bank, is a multi-stakeholder initiative that has been working since 2015 to transform coffee and cocoa landscapes in Latin America. Members and other leading industry actors have highlighted the Platform’s efforts in piloting innovative projects and creating dialogue within the sector towards collaborative change. The execution of a project and knowledge sharing platform has been gratifying, but also challenging. The panel includes actors from different areas of the coffee value chain that will provide insight into the benefits and challenges faced in the implementation of SAFE, as well as pointing out key factors that can make multi-stakeholder alliances successful. Coffee shows an appealing bitterness when properly roasted and prepared. But how do the compounds that make coffee taste bitter develop during roasting and how do you analyse and identify them? What lessons can be learned from academic research on coffee roasting to make coffee even more pleasantly bitter-tasting? And after a century of intensive research, why does research still not know exactly what makes coffee bitter at all? An excerpt of the academic research during my time as PhD at TU Munich. Sustainability metrics are increasingly embedded in corporate practices. Many have begun to define sustainability through the prism of corporate goals and interventions applying them to the producers within the supply chain. But as the drive to reach – and measure – these goals becomes greater, we need to step back and ask if we have defined sustainability correctly? Are the sustainability goals of corporations the same as producers’ goals? How can we ensure that industry sustainability programs and producers are aligned? This multi-stakeholder panel will explore the fundamental questions around who holds the power in defining sustainability and offer examples of best practices for making sustainability, actually sustainable for each supply chain actor. Coffee has historically been evaluated by the cupping system, but recently Descriptive Analysis techniques have come to the forefront. How do these two grading systems differ, what benefits does each offer, and how do we select the right tool for the job? This talk will explore the origins and definitions of sensory science and quality grading, as well as offer practical tips on how to customize a tasting protocol according to your company’s needs. Integrating principles of sensory science into your tasting practices can enable you get the best data possible with the resources at your disposal, enabling your company to maximize product quality and minimize risk. Coffee freshness is one of the core values of specialty coffee. But why is preserving the freshness so important? We maybe strive to maximize coffee’s potential to keep its vibrancy as fresh as the day when roasted or we keep coffee fresh to ensure quality and consistency. For any reason that we want to keep coffee fresh, understanding the fundamentals of freshness and applying them in our daily routine will help to improve our cup of coffee. In this lecture we will explore the topics of roasted coffee freshness as seen by a scientist’s perspective. Two particular fields will be looked into detail: chemical freshness or loss of coffee aroma during coffee aging, and physical freshness or degassing (also called outgassing) of coffee, a process of gradual gas release after coffee roasting. Decaf coffee sales are rising. Learn who really drinks decaf, why they drink it and best practices for how to use decaffeinated coffee to reach new customers to drive growth. Since its establishment in 1986, the USDA Food for Progress (FFPr) program has helped developing countries and emerging democracies modernize and strengthen their agricultural sectors by increasing agricultural productivity and expanding markets and trade. Current investments in coffee exceed $90 million dollars across several countries. The future of coffee remains uncertain. Coffee plants are aging and yielding fewer beans, and climate change is threatening the productivity of farms and increasing the risk of devastating diseases. Presently, coffee leaf rust has devastated Latin America’s small family farms. This fungal disease has caused more than $1 billion in crop losses in Central America and removed 1.7 million jobs across all of Latin America. Despite recurring challenges of coffee diseases, price volatility, and other constraints, global coffee consumption has grown by over 11 percent in the past four years and coffee investment opportunities, particularly in the specialty coffee market segment, are promising for producers and consumers. USDA proposes a panel discussion to give the audience opportunities to directly engage and brainstorm global investment opportunities with industry experts through a series of thought-provoking questions. The coffeehouse has a long and storied tradition. A place where powerful ideas and people from different walks of life come together, and where community, social and political organizing are fueled. From “penny universities” of 17th and 18th century London, to anti-war movements of the Vietnam era in the United States, to standing up in support of refugees and immigrants, this tradition is carried on in coffeehouses today. Each panelist will share their experiences on the role of coffeehouses in social and political movements and current opportunities and challenges in claiming the coffeehouse as place for community conversation and action. Remarks will be followed by Q&A from the audience. The Resilient Coffee for Central America project, funded by USAID and administered by the Borlaug Institute at Texas A&M University, is creating a more robust and climate-resilient coffee sector in the three Central American countries of El Salvador, Honduras and Guatemala, through reduction of risk and uncertainty to producers and strengthening adaptive capacities of smallholder farmers. Key activities include support for evidence-based methodologies, such as product diversification (honey, compost, others), soil protection (biochar, nutrient management), and introduction of improved coffee varieties. Presenters will discuss the project background and goals and give preliminary results related to the introduction of new coffee hybrids, including constraints to technology uptake specific to smallholder farmers, factors affecting productivity, potential for profitability increase, effectiveness at addressing climate-change related issues, and cup quality. The presentations will also include an analysis of productivity and profitability increase due to hybrid implementation within smallholder coffee producing communities in Guatemala, an analysis of quality and sensory parameters of the Centroamericano hybrids, challenges and successes related to the identification and implementation of the demo plots, and examples of practices or processes that could serve as a model for other implementation projects. Not all coffee is the same, so not all sustainability strategies are the same. Ever wonder what goes on in a company when determining a sourcing strategy and related commitment? There are a number of avenues available to coffee companies developing a sustainable sourcing strategy. Traceability, transparency, certification, verification, direct trade. It can seem overwhelming and confusing. What do they encompass? What is the difference in the approaches? And are they right for your business? In this session, an array of companies will talk about how critical issues (e.g. price transparency, forest conservation, labor practices) shape their strategies, how they developed a response to tackle them and what approaches have gotten traction with farmers, internal business partners and consumers. Even when stored under adequate conditions, aging of green coffee results in the decline of its original quality. For producers, exporters, importers and traders of specialty coffee this can represent significant losses, given the close price-cupping score interrelation. General knowledge within the coffee community indicates that the rate at which this negative progression occurs differs among varieties and processing methods. To explore and address this, a spin-off from the TU Berlin called coffee, metrics & analytics (coma) developed a novel pressure treatment to preserve flavor and aromatic compounds over longer periods. In 2018 coma kicked off an experiment comparing the rate of decline in the cupping score of samples from two lots: a Tanzanian fully washed Kent variety and an Ethiopian Heirloom natural. Coma conducts the experiment in collaboration with two specialty roasteries in Germany and one specialty trader in Norway. For each variety, half of the samples were subjected to the new treatment while half remained unprocessed. All samples are stored under business-as-usual conditions at the roasters’ and sourcer’s premises, and are cupped at regular intervals to evaluate the evolution of cupping score and biophysical components. This lecture will introduce the new pressure treatment and present preliminary experiment results. In this lecture, former World Barista Champion Saša Šestić presents his findings from years of experimental planning and processing on coffee farms. This lecture aims to show that recent innovations and developments in coffee processing and farming will inevitably change our perception of what is both 'specialty' and high-quality coffee. Saša's various experiments with producers around the world, as well as on his own farms in Nicaragua and Honduras have explored the opportunity of creating exceptional coffee with low-scoring, 'common' and under-valued varietals, typically considered outside the domain of 'specialty' coffee. This lecture will also explore the cost of such findings, revealing the challenges and losses faced in the journey to increasing quality, production and sustainability in a commercial environment. and "In the wake of these experiments and others, what does the future of specialty coffee look like?" As coffee quality becomes increasingly important in specialty coffee service, training becomes a critical component of a company’s long term success. This lecture provide coffee instructors with an overview on how to develop great content, deliver effective trainings, and successfully track employee performance. The workshop will benefit any coffee professional seeking to learn or hone training communication skills. New human-centered technologies will change farming and policy strategies for managing risks and climate to accelerate resilient growth. COSA is working with global partners to create a novel, web-based decision-support system (DSS) that democratizes access to important global data and integrates it with critical local-level data to generate new levels of resilience and long-term viability. The advent of big data offers vast potential. Greater scale and reduced costs can be achieved by addressing the risks within a whole region. However, it is only when big data is integrated with local pragmatic realities, and made accessible to those who can act, that the benefits really multiply. From policymakers to farmers, this transformative technology really engages local coffee communities across a landscape or region and empowers diverse stakeholders to mutually understand and resolve large landscape-scale issues and produce broad collective results. Assess the global spread of crop pests and diseases to minimize impact on yields. Building, Retaining and Growing Your Company's A-Team! In this lecture, I will be sharing with you the key points that I've learned in how to build an A-Team. These points include the hiring process; which applicants to interview, how to interview and what does the interview process look like. Next, a training outline and training team. How do you bring on a new-hire effectively and efficiently with minimum impact on the surrounding staff and your customer base. Lastly, team building...as you're hiring and building this A-Team, how is it that you retain them and encourage growth within the company. Within your A-Team, I will give you some tools on identifying your leadership team. Although there are different "shades" of consumer sustainability, consumers don't necessarily recognize that sustainability has shades of its own. In part, this is due to the complexities of the coffee value chain; the average consumer perceives coffee as a commodity product, while the specialty coffee industry recognizes sustainable benefits provided at each stage from bean-to-cup. If the specialty coffee industry is to broaden its market and make coffee more sustainable, it needs to increase average consumers' awareness of the deeper shades of sustainability. The purpose of this talk is to break down consumer perceptions of specialty coffee as they relate to marketplace sustainability. In particular, I highlight some of the consumer psychology behind perceptions of the coffee value chain, what motivates consumers' prosocial behaviors, why some consumers view independent certifications as a normative standard for sustainability, and what types of information can roasters provide consumers with--be they farmer/roaster narratives or transparency through blockchain technology--to bridge the value chain information gap. Diversification has become a catchall term that can refer to environmental efforts to manage risk, enhance soil fertility, optimize productivity (biodiversity), generate alternative income streams, and improve diets (diversified livelihoods). Yet, despite persistent calls for ‘diversification,’ there is a lack of empirical research on: 1) the limitations and contributions of diversification strategies to households, gender relations, communities, and food security and systems; and 2) the extent to which the way the strategies are implemented optimizes contributions. We are approaching these questions through a cross-site comparison with two coffee cooperatives (one each in Mexico and Nicaragua), exploring the different effects of diversification strategies and how they relate to the sustainability of small-scale coffee production. This project aims to inform a broad audience along the coffee value chain, and its participatory design aims to provide practical results that will lead to better decision making by producers (both farmers and cooperatives), and those seeking to provide investment and/or collaborate in projects that support their smallholder and cooperative suppliers. The study also offers a replicable research framework that can be applied in a diversity of contexts. Our presentation will provide key results and include the perspectives of coffee producers, cooperatives, buyers and researchers. Spent coffee grounds (SCGs) are the waste product generated from coffee beverage preparation and at least 6 million tonnes of SCGs end up in landfill each year. The accruement of SCGs in nature is an increasingly persistent problem for the environment and human health due to the ecotoxicity and cytotoxicity of secondary metabolites within coffee. Over the last decade, a large research effort has been underway, in line with EU directives to reduce to the tonnage of waste sent to landfill, maximising value and reducing the environmental impact of the coffee industry. To this end, academic research has demonstrated the suitability of SCGs as a potential source of bulk chemicals, fuels and products. However, the practical utilisation of SCGs as a renewable feedstock for processes remains problematic. This talk will introduce the chemical composition of SCGs and give an overview of the fuels, materials, functional food and skincare products that can be generated from them. It will critically examine the state-of-the-art in research to constructing an SCGs based biorefinery, including the logistics involved, and will attempt to demonstrate the limitations of this approach. The necessary future direction of valorising the by-products of the coffee processing industry will also be highlighted. Emission standards and regulations are increasing more onerous and complicated. While many roasting companies are seeking "green" solutions for roaster operations, it is difficult to know if these solutions are compliant. In this presentation we will explore why emission regulations exist and how roasting operators comply with these regulations. We will also compare and contrast tried and true emission control equipment with newer, greener solutions. Presenter(s): Scott Stouffer, Vice President, Probat Inc.
Presenter(s): Maria Upspenski, Founder & CEO, The Tea Spot, Inc. This panel discussion will provide a platform to explore the historical and current realities and challenges of the impact of the C Market trading system, the socioeconomic inequities at play between coffee producers and coffee buyers today and the power and, more importantly, the responsibility that coffee buyers have in driving change. Panelists will represent a variety of viewpoints—producer, social anthropologist, importer, buyer and roaster—in order to communicate a well-rounded context for participants and more fully explore the topic and potential solutions. The goal of the panel is to engage the audience (and specialty coffee industry at large) in a movement towards a new, sustainable trading model, one that levels the playing field and drives real, long-term change for coffee farmers. Can (and Should) the Coffee Sector Make a Zero Deforestation Commitment? Palm oil, cocoa, soy, beef all have made sector-wide zero deforestation commitments as have many other industries as part of the New York Declaration on Forests, the Tropical Forest Alliance, Consumer Goods Forum, and other initiatives. These have been big events with CEOs making commitments to sourcing deforestation free commodities. Coffee has not made an equivalent announcement. As climate change makes higher altitudes more suitable for specialty coffee and lower altitudes less so coffee could become a more important driver of deforestation in the coming decade – especially for the last remaining intact tropical forests that are also home to orangutans, panthers, jaguars, tigers and other rare species. In this session we will have the chance to learn from the cocoa and palm oil sectors to explore how they came to make such commitments and how they are implementing them. We will explore what commitments already exist in the coffee sector and we will show what a similar commitment could mean for the coffee sector - what forests would be conserved, what the sector would need to do and how we would track success. The coffee industry has demonstrated a noteworthy drive toward collaborative engagement in sustainability over the past several years, but there has been a lack of investment in gender equity throughout the value chain. As part of a multi-staged process to spur engagement across the supply chain to increase gender equity, the CQI Partnership for Gender Equity (PGE) developed and piloted a field-level project in Nicaragua in 2017 with funding from UTZ and in partnership with two producer cooperatives, SOPPEXCCA and PRODECOOP. Many business models in Specialty Coffee incorporate the ideas of working towards living wages for coffee growing communities. Seeing the movement around this empowering idea is so encouraging! But, it's also just the beginning... If we can improve the working conditions of coffee growers around the world, how can we do this in other aspects of our business as well? I see a new type of business model where we can not only better the lives of the people we source from, but also the lives of our employees, customers, and even our competition. Lecture will inform specialty coffee roasters of rules that govern clean air requirements and review the major alternatives to meeting these requirements. It will also help roasters avoid the many mistakes which can lead to fines and possible revocation of a use permit. Exploring the art and chemistry of roasting and the conversion of green coffee precursors into flavor, color and bio activities. In addition, how the impact of different energy transfer methodologies, and their conductive & convective properties effect this process. This is what is happening in the bean during roasting, the chemical changes that occur that effect acidity, body and flavor perception. World Coffee Research is working to improve the genetic potential of coffee cup quality. To start this task, one has to define what is quality. WCR believes it is a market driven definition and organized new protocols to assess quality from the perspective of the coffee industry. With experts and partners, WCR produced the coffee lexicon that allows an objective analytic description of coffee quality attributes. In our presentation, we will discuss these innovations and indicate lessons learned. Moreover, the latest results deriving from these methods and advances on the molecular basis of cup quality will be presented. In particular, the importance of some specific Volatile Compounds, such as Limonene, will be highlighted. Those results are not an end but a beginning; an opportunity for further studies to find out the molecular markers or genes related to cup quality in general. Ongoing works are presented and perspectives for coffee industry will be discussed. Numerous physical and chemical processes play a determining role in cup quality, ranging from agricultural practices, to roasting and brewing. This talk canvases the landscape of coffee research to date, detailing areas that require further study, as well as discussing our early efforts to better understand the key factors that determine cup quality and reproducibility. A focus will be placed on the production of espresso-based beverages, and how we can systematically improve both the flavor reproducibility and coffee efficiency using a mixture of mathematics, chemistry, and physics. This contribution discusses progress on ongoing research on the science of coffee extraction, as currently conducted at the Coffee Excellence Center at the Zurich University of Applied Sciences. Hot water extraction is the final step in the long journey of coffee, before consumption. While such a process might take as little time as a few seconds for espresso extraction and as long as several minutes for a drip brew, it is crucial to the final quality of the brew. Here, we will track the extraction, from the first drop to the final cup, and compare the extraction processes of an espresso coffee (porta filter machine and fully automatic machine) and drip brew from the perspective of various coffee components as well as for the total extraction yield. We will discuss the impact of grind size and temperature on the extraction kinetics of drip brew and espresso coffee, respectively. Such research demonstrates the complexity of the task at hand, but also reveals new insight into this crucial process. A lecture for supporting business and community leaders to utilize empathy in building a better understanding of their team or community, challenge assumptions and reject basic solutions for a more inclusive, diverse and culturally fit organization. Learn about the process that designers use to extract, teach, learn and apply knowledge: Design Thinking. Attendees will review human centered techniques and explore creativity tools to expand their ability to build the culture they want for themselves and their community. This lecture will present the findings of a Master's Project team at the University of Michigan in service of their client, Califia Farms. The Master's Project team consists of four MBA/MS students (Kathy Tian, Dan Partin, Madeleine Carnemark, Lauren Baum) who are advised by Ravi Anupindi, the Colonel William G. and Ann C. Svetlich Professor of Operations Research and Management at the Ross School of Business. The team will do a detailed break down the cost of specialty coffee production in Colombia, as well as their discoveries on cost of living and savings. They will present their perspective on how a coffee roaster can develop a pricing standard to ensure a fair and sustainable price to the producer. Since the team's field research was conducted in Manizales, Caldas, findings will be centered around Colombia, but the team will also discuss implications of their research on pricing standards in other countries. Treavor Noah in his book “born a crime”, added to the Chinese proverb Give a man a fish and you feed him for a day. Teach a man to fish and you feed him for a lifetime. By noting that the skill might not necessarily feed for a lifetime, one also needs to have the tools to effectively use the skill. The challenge of youth and gender involvement in the coffee sector has more to do than just education and skill. It also has to do with the opportunity to use the tools and poses this to effectively utilize the newly acquired skill. Our experience at the Utake Coffee mentorship program is that once youth learn they get a skill. But once you give them a opportunitye to use the skill and tools to effectively utilize the skill then they can feed themselves for life. As we work as a sector on SDG 8 to ensure that we contribute to productive employment of youth and equal opportunities for gender, the importance of the rod in addition to the fishing skill should not be under estimated. Tragically, many of the world’s best coffee-growing areas are littered with landmines and explosive remnants of war, which impact coffee production as coffee plants go unpicked when farmers fear where they step and mined roads block coffee transport. Producers disabled by conflict often give up farming or sell their farms to make ends meet. Coffee production in the DRC, once called a burgeoning “paradise for coffee” due to its latitude, altitude and rainfall, was decimated by decades of unrest and armed conflict. Yet the DRC has significant potential to meet rising consumer demand for specialty coffee, and coffee production has the potential to bring peace, hope and better livelihoods to battle-scarred farmers living in the fertile highlands of Lake Kivu. This panel explores the confluence of coffee and conflict in the DRC, and how skilled jobs and an inclusive environment for survivors and other people with disabilities within the coffee value chain offers an alternative to conflict and a better quality of life for coffee growers. Competitive employment in coffee offers an alternative to violence, greed, and injustice. Rehabilitation helps coffee growers to regain mobility, develop job skills, overcome discrimination, and ultimately return to leading productive lives within their communities. Panelists: Madam Adolphine Muley Byayuwa, Minister of Agriculture and Environment, South Kivu, DR Congo & Co-founder of Saveur du Kivu| Adrien Nzuzi, Humanitarian, Polus Center for Social and Economic Development in Democratic Republic of Congo| Julienne Masika Paypay, Prosthetic technician, Centre Pour Handicapees Physiques (CHP) in Goma DRC| Dennis Hadrick, Program Officer, Office of Weapons Removal and Abatement, U.S. Department of State| Gilbert Makelele, Founder, S.CPNCK Co-operative and a network of advocacy to fight poverty and support peace in the eastern part of the DRC | Chris Treter, Co Founder/CEO, Higher Grounds Trading Co. | Theresa Kane, Chief Operating Officer, Polus Center for Social & Economic Development, Inc.
To be deemed sustainable, the three pillars of social responsibility, economic viability, and environmental soundness must all work together to create a balance. However, in agricultural crops such as coffee, environment often takes a backseat to people and profit. Coffee is a highly traded commodity, grown in tropical regions of the world that also host high levels of biodiversity. It covers millions of hectares of land with millions of livelihoods intertwined with its production. The way that coffee farms are managed can vary widely– from a monoculture of coffee plants with little or no shade trees (sun coffee) to farms with many types of trees interspersed between the coffee plants (shade coffee). Shade coffee provides habitat for wildlife, fosters ecosystem services, requires few agrochemicals, and is better overall for the environment compared to sun coffee. Even with these benefits, there is a trend to replace shade coffee with sun coffee. How can these three pillars of sustainability be more equally balanced to not only produce a profitable crop, but also protect the environment on which wildlife and people depend? This talk will explore some of the difference between shade and sun coffee and the complexities and nuances in defining sustainability. Across Peru, as in many other coffee origins, smallholders are struggling to make a sustainable livelihood from their crop. There are a multitude of interrelated root causes for this – from the macro-economic and structural market issues to the day to day management of farms. At origin many issues connect and overlap, from climate change enabling pests and disease to spread faster than ever, to young people’s disengagement with coffee farming, to societal inequalities and gender imbalances. In 2015, representatives from a pre-competitive supply chain, all with a passion for Peruvian coffee, began conversations on how they could work together to tackle these problems. They recognised each issue was equally critical if the sustainability of future supply was to be ensured, and that this began by supporting the producers they had long-standing relationships with. Fast forward three years – coffee yields have increased by 56%, 450 young people have been trained in business, entrepreneurship, leadership and marketing, 54 women have accessed a loan fund to set up their own businesses and over 1,800 MT of organic compost has been produced. Additionally, project partners have learnt from looking at the value chain in a completely different, and more collaborative way. This collective approach is essential if actors in the coffee supply chain want to ensure long-term supply, address deeper power imbalances and prepare for the challenges of climate change and urbanisation which are already at our heels. This lecture will hear from partners on each level of this project and how this mode of working can be a blue-print for sustainable change in coffee. The work presented here enabled us to understand how water chemistry controls the flavours being extracted during espresso percolation. As a result, we can now predict the precise filtration systems required to achieve ideal water chemistry based on our filtration model. This enables us to ensure consistent extraction flavour across Australia despite highly varying water qualities. Currently, filtration systems are installed to limit machine corrosion and to achieve flavour consistency between cafes. The challenge to correctly installing filtration systems is that feed water varies from location to location. The task is further complicated when attempts are made to link filtration results to a coffee flavour variation. Our work bridges this gap. In collaboration with the University of New South Wales (Australia), we developed a predictive model to aid in obtaining the best quality espresso possible as a function of feed water quality. To achieve this, we measured the effects of various filters on water chemistry and developed a model that predicted filtered water chemistry as a function of filter type, size and feed water quality. We then measured the impacts of water quality on espresso chemistry using a variety of tools, including inductively coupled plasma spectrometry and gas chromatograph-mass spectrometry. A presentation and discussion of past coffee crises and attempts to remedy the situation. We will examine the nature of previous crises, the fundamental imbalances that underpin them, and the efforts of various authorities to mitigate them. We will cover the history of commodity trading in New York, the history of the C price, and why large sums invested by traders are necessary to move coffee around the world. We will consider whether the lessons of the past can help us move to a more sustainable future. The organizations represented have been working on the cutting edge of methods that improve both the farmgate price (and workers’ pay) at origin and at the same time increase quality in the cup. Topics addressed include working with large numbers of smallholders, impacts of government regulation and the decision whether to go for certifications like Fair Trade or Organic. The panelists represent one cooperative (Rwanda – Kopakama-Ejo Heza women’s sub-group) and two private companies, Gesha Village in Ethiopia and Long Miles Coffee Project in Burundi. Join us for an interesting discussion! Whereas essential to survival a few million years ago, olfaction has been overpowered by sight and hearing. But what if we were to realise that this powerful sense can actually be enhanced and developped ? From understanding the mechanism that triggers aromas perceptions and recognition, this lecture teaches you to train your brain into being a better analyst.